Day Time: Relives Sinus Pressure & Congestion & Headache,Day Time: Thins & Loosens Mucus,Night Time: Relives Nasal Congestion, Sinus Pressure & Pain,Night Time: Relieves Runny Nose, Sneezing & Cough. 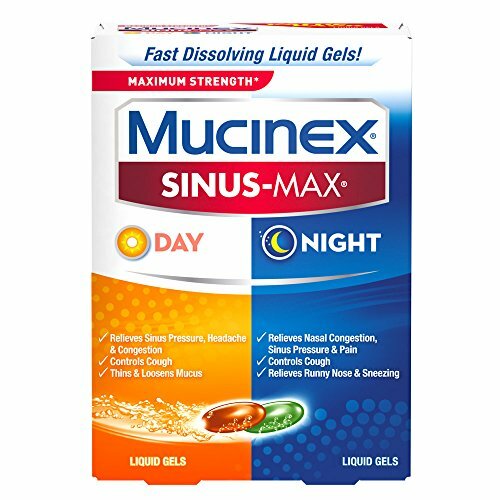 If you have any questions about this product by Mucinex, contact us by completing and submitting the form below. If you are looking for a specif part number, please include it with your message.